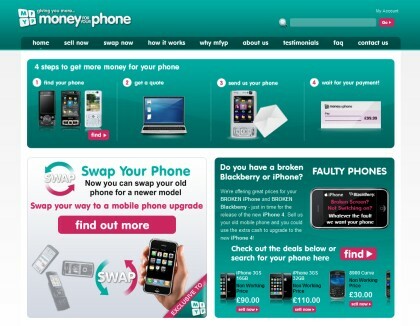 Popular mobile phone recycling site, Money4urPhone have recently launched a brand new exclusive ‘swap’ service that could change the way you buy and sell your mobile phones in the future. When recycling your old handset at Money for your Phone you can either sell it for cash as normal or use it too upgrade to a phone of your choice using the swap service. The handset you swap for will be grade A with a 90 day warranty included. The new service is really easy to use, simply select the phone you want to recycle, select your new upgrade, pay any difference in the price with a credit / debit card or Paypal and your new mobile will be delivered within 3 days. This great new service allows you to upgrade your mobile whenever you feel like it, there’s no limit too the number of swaps you do. It would be even possible to have a different phone every week!